Yeah, I'm slackin' in my race reports! This is old news from May 31 but I had to get it out! I'm hoping for just one SparkFriend to get the burn and go Tri! 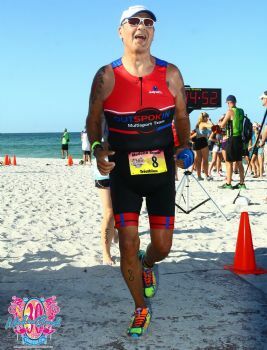 Since I became a Triathlete in 2013, I've always been attracted to this Tri. 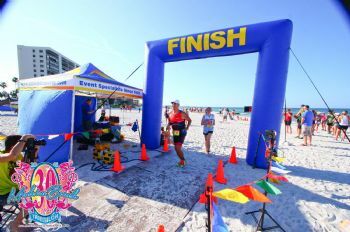 Not only did I do it, I also did the 5K 48 hours before (part of the Madeira Beach Weekend), worked Packet Pickup, then did The Tri on Sunday! 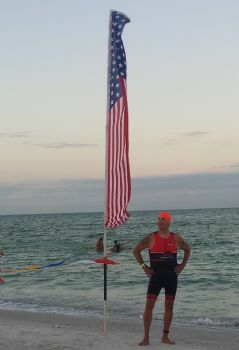 Yes, I did my Super Hero pose before my Swim Wave! It's now tradition! 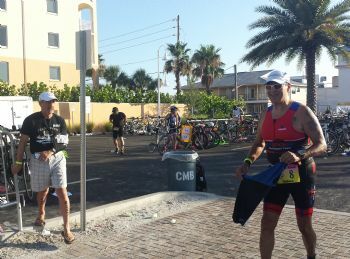 Carl is a part of Racehawk, the race management team for awesome races & Tris! 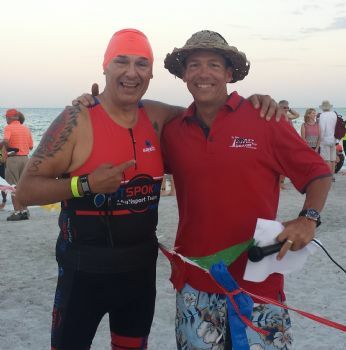 I have become a regular member of this team to help make these races rock! Carl has always been an inspiration, motivation, and cheerleader for me! Sue is a local Race Manager and fellow 65-69 Age Group member. 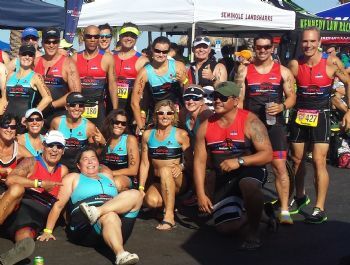 We've become close friends and share many of our Tri experiences together! Sally is a Teammate of mine....and also knows how to have fun with it all! 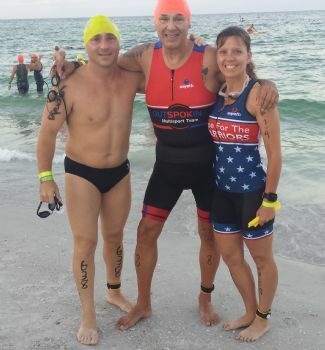 My OMT/Team Hope for the Warriors Tampa Teammates! Love these two! April is a 15 year brain cancer survivor, kicking tail in Tris! 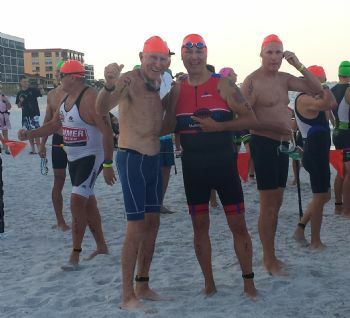 Larry Yost (86 years young) is a fellow member of St Pete Mad Dogs Tri Club, and a fellow Alum from NC State! We're become good friends and I gain great knowledge from him! I want to be him when I grow up! 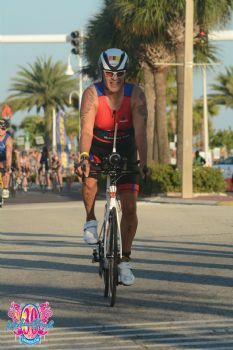 I share these photos of my friends at these Tris to show the strength and atmosphere of the Tri Community here in the Tampa Bay area. Surround Yourself with Winners! You Will Achieve Goals! 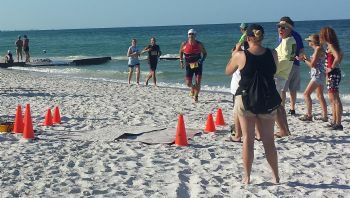 Yes, there was a Tri...and my swim wave finally hit the Gulf! That's my Team Manager & Swim Coach, Leo! 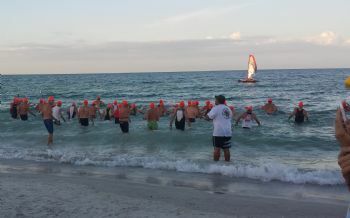 He's at every Swim Wave Start, always instilling positive waves and confidence! 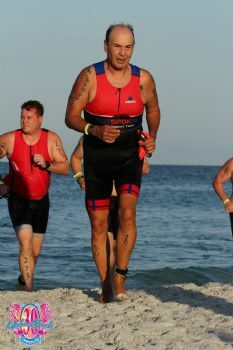 My official photo proving I survived my Swim Wave and headed to T1! 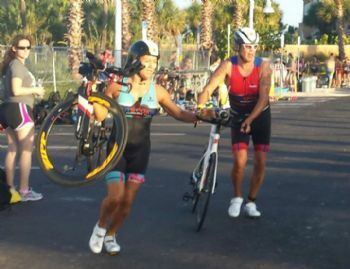 Coming out of T1, I learned something from my OMT Teammate, Whit! She rocks hard! The Official Bike Shot! Coming out of the shadows! 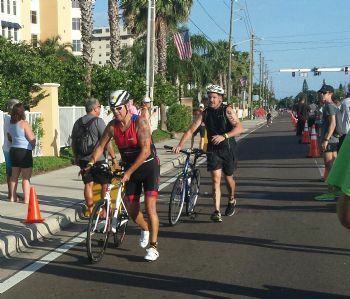 Coming into T2 after an extremely aggressive bike race, witnessing a couple of accidents, and having a screaming EMT truck pass me to get to the scene! 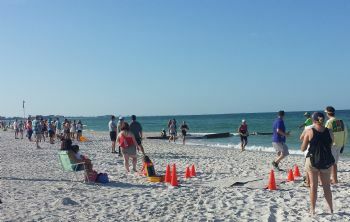 Leaving T2 to knock off a 5K on the beach...literally! 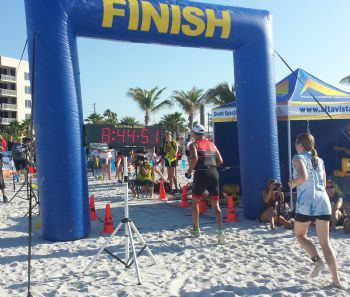 Coming to the Finish Line! 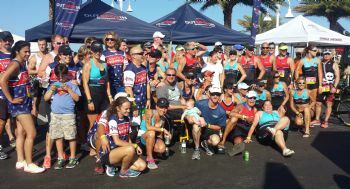 And the party gets started at our Outspokin Multisport Team tents with our sister group, Team Hope for the Warriors Tampa, and friends! Great race, great friends, what more can you ask for! Welcome to Paradise! Thanks for taking the time to read & comment on my blog! Enjoy life to the fullest! You ROCK Monty! Great job once again! I can feel those positive vibes just rolling off of you and I hope they hit lots of people right between the eyes! What a great blog. 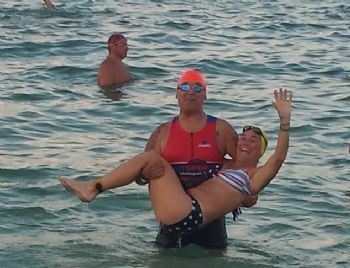 Aren't tri folks the best? Give my regards and respect to Larry, please. I love seeing those senior to me out there. I'm currently training for my 1st 140.6 next year when I will 70 years old. 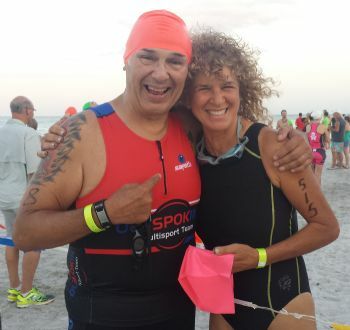 Keep tri-ing and inspiring. Sounds like fun along with being really tough. What a Wonderful Experience with Wonderful Friends! Thanks for Sharing! Great Blog and absolutely love the pictures!! You rock! Way to go!